Car manufacturer Honda knows a thing or two when it comes to airbags. 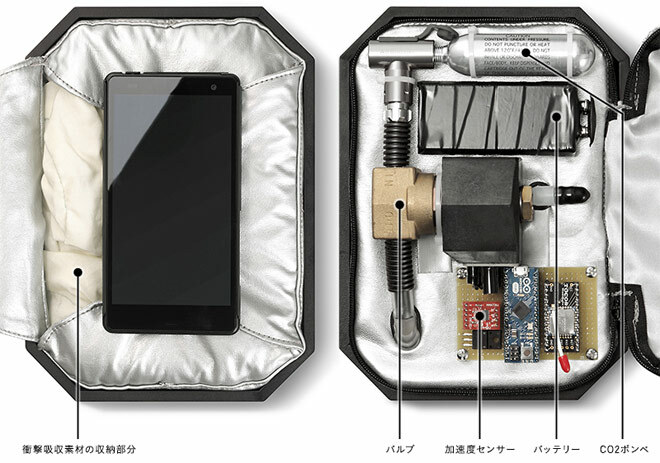 As a result, the company has decided to put an end to the shattered displays and cracked bodies of dropped smartphones with its brand new airbag-stuffed Smartphone Case N.
Quite bulky and virtually impractical at this point, the Honda Smartphone Case N features six airbags that fire off whenever a sensor detects the phone is in a freefall to the ground. The whole case is one big and hefty box that holds all the pieces together. Besides the airbags and sensors, there’s a special tubing installation and a small tank filled with CO2. Hopefully, this thing won’t go off accidentally, as this is a common bug with traditional airbag systems. Check out the promo video that Honda has put up of the Smartphone Case N and see it deployed in a real life experiment. It also shows the smartphone tests Honda has made. We don’t know if Honda is ever going to put this particular case into production or if it’s just a fun experiment it is conducting. Either way, we think the automaker is on to something.